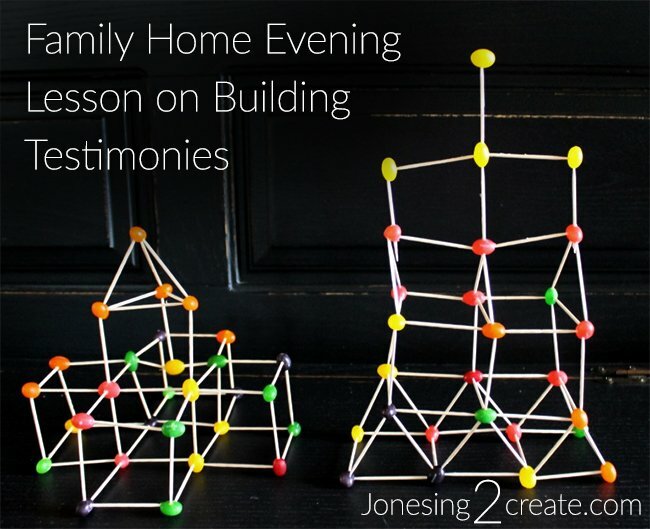 We recently did this Family Home Evening lesson on testimonies with our kids and they loved it. The lesson talks about the importance of having a strong foundation when building a temple, and then explains why our testimonies need strong foundations too. My kids are kinetic learners, so being able to work with their hands while we talked helped encourage gospel discussion. 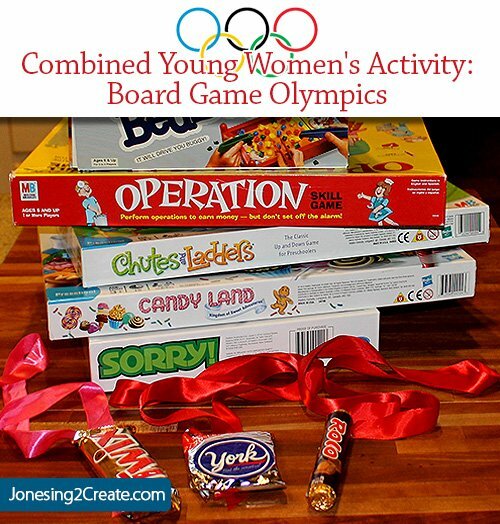 This lesson can be adapted to work with younger kids or teenagers. When the pioneers built the temple in Salt Lake City, they used granite from nearby mountains. They chiseled the blocks of granite out of the quarry by hand and then had to haul them 20 miles to the temple building site. They carried enormous boulders weighing 2,500 to 5,600 pounds each to the temple site on wagons pulled by as many as four yokes of oxen. The round trip took three to four days. When building the temple, they also had to be sure the foundation was solid. During the building, more than two tiers of the blocks were removed and replaced because it was learned that workers were trying to save on expensive mortar by using chips of granite between the blocks. While it was cheaper, it made for a less stable foundation. Brigham Young explained, “Build not for today nor tomorrow, but for all eternity.” The workers on the temple did not have tractors or cranes like we do today. Each block had to be removed by hand. Can you imagine how hard it would be to undo all that hard word? At one point during the building, cracks were also discovered in the foundation walls. So they had to start all over again. They had to remove all the blocks and replace them with higher quality ones. It took them 40 years to finish the temple, but the temple has been standing for almost 125 years now. Today, we are going to use a much simpler method to build our temples — jelly beans and toothpicks! But like the pioneers, we are going to focus on building a solid foundation. As you work on your temples, pay attention to what things make your building stronger or weaker. Does it matter what kinds of angles you use? Does it help if you are careful and exact about how you place the toothpicks? Does having a solid foundation matter? Like our temples, our testimonies also need solid foundations if they are going to last “for all eternity.” What kinds of things do we need to pay attention to while building our testimonies? What kinds of things make our testimonies stronger? How are we blessed by having a strong testimony? “We can fortify our foundations of faith, our testimonies of truth, so that we will not falter, we will not fail…May I offer three guidelines to help us in our quest. My second guideline: Let us study the scriptures and “meditate therein day and night,” as counseled by the Lord in the book of Joshua (1:8). My third guideline for building a strong foundation of faith and testimony involves service.